I always wonder at what point do you decide whether you're a heels kinda girl or not? Is there a pivotal moment in your teens when you subconsciously decide you'll be that kind of girl who makes maximum effort, who always looks pristine and wears six inch heels like they're slippers? Some where along the line I decided I was categorically NOT that kind of girl. I don't know when it happened but it did and boy did I commit to this decision. I just can't hack them and lord knows I've genuinely tried. A block heel is fine to a certain degree but anything strappy and above 4 inches, I'm a goner. I've got plenty of beautiful "out, out" heels in my wardrobe which are unworn and untouched, gathering dust in the deepest, darkest parts of my closet. But unworn doesn't mean unloved, specifically the 10 years old Dolce & Gabbana six inch patent lace ups which as a brogue style I figured would trick my mind into thinking we could go the distance in them. We never did and the only light of day they've seen is when every once and awhile I dig them out from their box just to admire them and whisper "I love you, I promise". A very good and somewhat wise (at times) friend of mine used to say that there are three main pillars in your life; your job, your house and your love life. The byproduct of all three pillars going right is happiness. But sadly her theory proposed that at any given time, more often than not at least one of these pillars will seemingly be going wrong. What a buzzkill. This sounds like a pretty negative hypothesis right? Well actually the more I think about it, the more I'd have to agree. I recently went for drinks with another of my friends (hi Emma), I was grumbling to her about one thing or another and we both wondered, "when does life get easy?" (slightly melodramatic when asking this question out of context with our conversation... I assure you the subject wasn't THAT intense). It got me thinking about this "three pillar" theory and call me pessimistic but maybe, just maybe life is never smooth sailing. And if hypothetically it was to all go our way, would we necessarily still be happy or would we still want more? After this month's crazy snowstorm (which FYI set me back a good week on work due to cancelled trains and missing parcels) and copious amounts of rain I think it's safe to say this Spring so far isn't exactly going as we'd all planned. Ordinarily by mid March we should be seeing greenery, an ever so slight rise in temperature and enough sunshine to give you the Vitamin D fix your skin needs! 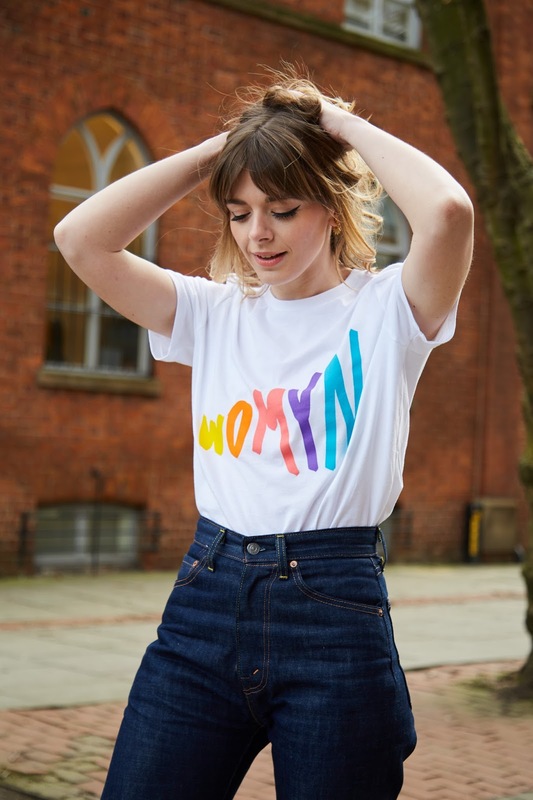 But this year March is most certainly out of the ordinary and I don't know about you but I'm starting to feel like dressing for Spring/Summer will never happen this year! I have this vivid memory from when I was a little girl- I'd say about seven or eight years old-spending time with my dad, sat in my mum's kitchen and I was nattering on about the Spice Girls (it was 1996, who wasn't talking about the Spice Girls?). I was talking about how Baby was my favourite and how I love them because... "GIRL POWER"!! I recall my dad asking me what exactly did Girl Power mean and I can remember my answer as clear as day, even now over twenty years later. I simple replied, "It means girls are strong and they can do what they want". I mean obviously this was the opinion of a young girl and we are all well aware that the slogan "Girl Power" symbolises a great deal more but I've got to hand it to eight year old me, I don't think I did half a bad job summarising. Say what you want about the Spice Girls but as a young girl who grew up in that very poignant cultural era that was "Spice Mania", it's truly incredible in hindsight how positive, proactive and ever lasting their message was. Hands up if you like shopping? Hands up if you like bagging yourself a real bargain? 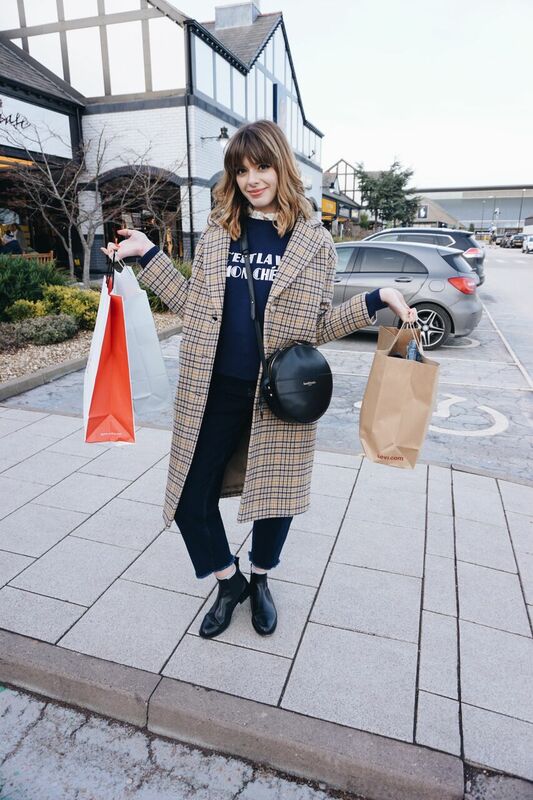 I think it's safe to say that we're all guilty of loving to shop our favourite brands for less and for me there's no better or easier place to do so than at McArthurGlen's designer outlet centre, Cheshire Oaks! McArthurGlen have exactly seven centres dotted all over the UK but with Cheshire Oaks only a 45 minute trip down the road from Manchester, this is definitely my personal go to. And with so many exciting new developments going on at Cheshire Oaks right now I thought it would be nice to take you along on a cheeky, little shopping trip and show you just how easy it is to shop all the latest, key trends at the lowest price! Out With The Old, In With The New? Vintage Made Easy! 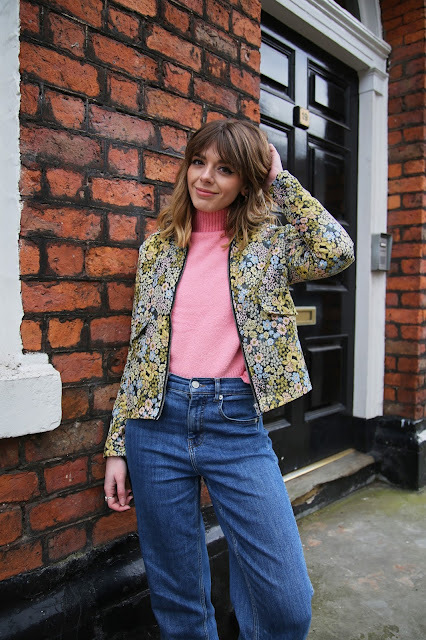 I feel like I talk about vintage a lot with you guys and in particular over the last few weeks where I've discuss how to buy vintage denim and seventies stripes but it's such a huge influence on my style, it's kind of hard to escape it. That said no matter how much I discuss the subject it's still something you guys seem to want to hear more about and I'm often asked how I create my look or where you can find certain items. 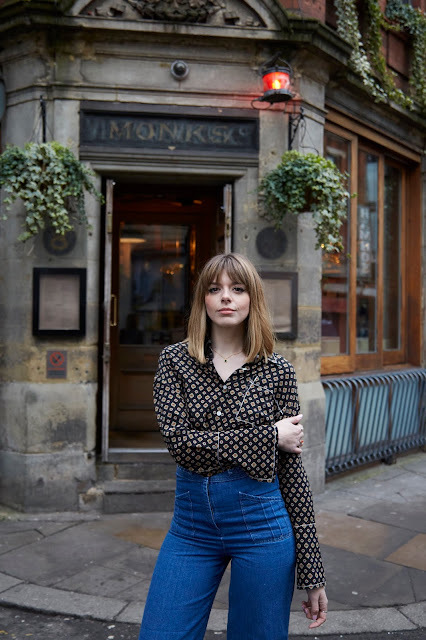 I've often mentioned that I find it super hard to explain my outfit when vintage is involved because I psychically can't find the items for you to replicate- one of the highs and lows of vintage shopping is that it's a one off piece. But one of the fundamental factors to consider when dressing "vintage" is that I personally don't believe it HAS to be true vintage and with the seventies/eighties/nineties hitting our high streets hard this season I thought I'd show you some of the key trends to look out for when creating a retro inspired outfit this year.